While it’s a generation old at this point, the Roku 4 is still one of the few streaming boxes out there capable of playing 4K content, and at $63 for a refurb, it’s the cheapest 4K streamer we’ve ever seen. Sling TV is the simplest way to stream TV without shackling yourself to a cable company, and today only, Amazon will sell you two months of the service for the price of one. 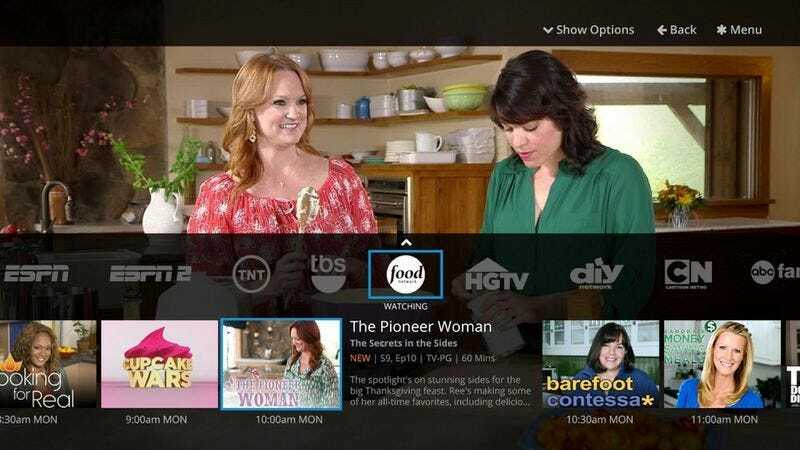 The deal is available for every configuration of Sling TV, and the best way to compare your options is to visit Sling’s homepage. Just note that this deal is available for new accounts only, and it’s only available today. Not only will this UL-certified hoverboard not blow up under your feet, it also won’t blow up your bank account. $249 is getting dangerously close to impulse buy territory, but that price is only available today. Everyone owns a camera now, but basically nobody knows how to take good photos. So rather than asking random passerby on vacation to take your photo, do it yourself with this flexible, smartphone-compatible tripod. One can never have enough flash storage, especially when you can fit 64GB of files on a card the size of your pinkie nail, all for $16. If you’re lucky enough to have a Nintendo Switch preordered, you definitely want this. Just because it’s a little nippy outside doesn’t mean you shouldn’t enjoy your patio. Amazon’s top-selling fire pit is back down to its lowest price today. While they might not conform to the classic look of our favorite chef’s knives, this Cuisinart Advantage knife set is anything but dull (get it?). You can own the whole collection today for just $16, within a dollar of an all-time low price. Don’t let the colors fool you, these knives are stainless steel, and extremely sharp. The set has a 4.6 star Amazon review average on over 2,800 reviews, and the colors can help you keep track and avoid cross-contaminating food while you use them. Electric kettles are the fastest and most efficient way to boil water, and this model from Aicok includes six different temperature settings for different types of beverages. 3M’s Command product line started out as picture hooks and cable organizers, but now includes everything from soap dishes to toothbrush holders as well. So no matter what you’re trying to hang, the 3M product you need is on sale today.